Initially formed while at the University of Nottingham, the early success of the band led them to abandon their studies and pursue music. 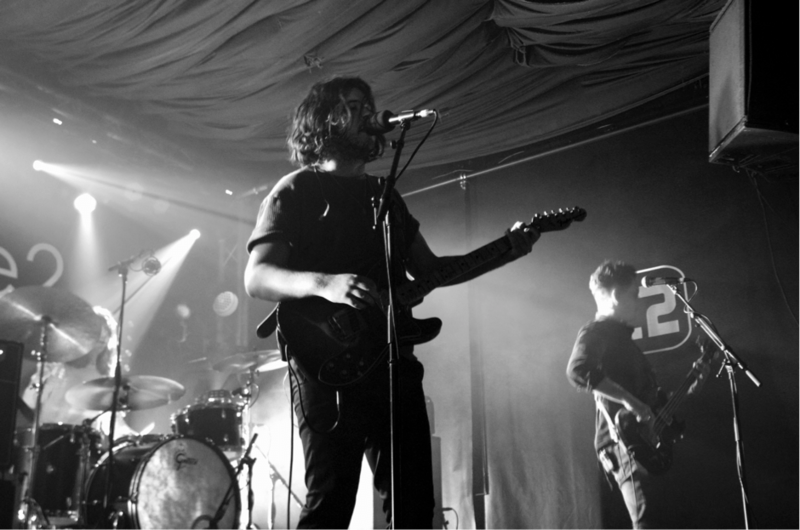 Back in 2013, four shows into their emerging career, the BBC invited Amber Run to play on the BBC Introducing Stage at Reading Festival. It has been four years since this performance and on a Wednesday night they arrived in Brighton as part of the UK leg of their sophomore album’s European tour. 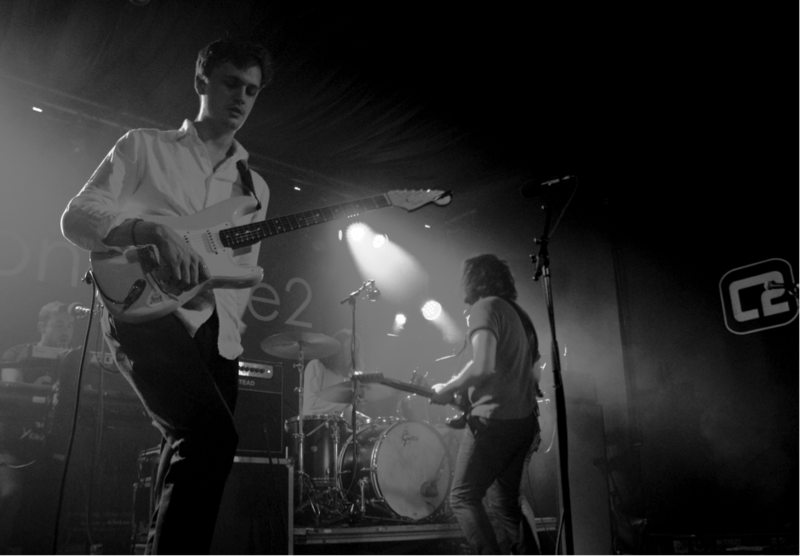 Amber Run set the tone for the night as they crashed into their opener at Concorde 2. The first song was the introductory track to their new album ‘For A Moment, I Was Lost’, titled ‘Insomniac’; an upbeat pop-rock song with darker lyrical tones of depression (references to mental illness is very present on the album). Not all that familiar with the band initially, I found myself drawn to tracks like ‘Insomniac’ for its live-sounding qualities on the album. The band’s primary focus for their second album was definitely to translate this sound that they acquired from touring into the studio. This particularly lent itself to ‘Dark Bloom’ played halfway through their set. A building crescendo of drums and painfully evocative lyrics that reminded me of an early Keane album. I personally find that Joe’s voice is close to the tone of Keane frontman, Tom Chaplin. ‘Dark Bloom’ was an energy filled performance, with epilepsy-inducing strobe lights flying around the stage and lighting up elated faces of the crowd. Amber Run were reaching the end of their performance when suddenly Joe announces: “If we give something to you, will you give something to me? Coz I don’t know when I’m coming back to Brighton: genuinely. And I want to remember this show for a really long time.” At this point, the band played ‘Haze’, an autobiographical account of the depression Joe and fellow bandmate Henry felt during the writing of this album. It is an eerie number that is reminiscent of early The 1975 songs like ‘Anobrain’ from their Music For Cars EP that launched their career into pop status. When performed live, ‘Haze’ captures the hollowness one feels with depression and echoed vocal effects on the mic allowed the lyrics, unaccompanied by instruments, to shine through in a haunting way. 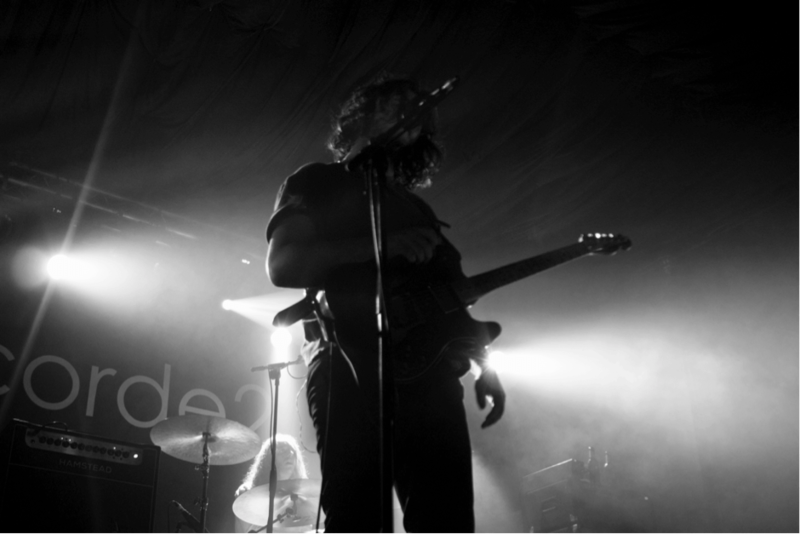 They descended into one of the last songs of the set and one that catalysed their success, ‘Noah’. All around me fans shouted the chorus, raising their heads to the ceiling like howling wolves. I think it would be hard for Amber Run to get lost in the sea of forgotten British pop-rock acts, as they seemingly have a cracking career ahead of them. I advise all those who don’t know them to get to know them because their sound is already very established, and their songwriting admirable. The myth of the sophomore album has not been materialised by these guys, and I reckon it’s a more impressive body of work than their first. I think I can confidently say they will be back in Brighton sooner than Joe believes.